About 37 miles due south of Carmel, California, straight down the scenic and historic U.S. Highway 1 and the Coastal Highway, lies a state park that grants visitors access to some of the most beautiful scenic views of the Pacific coast. 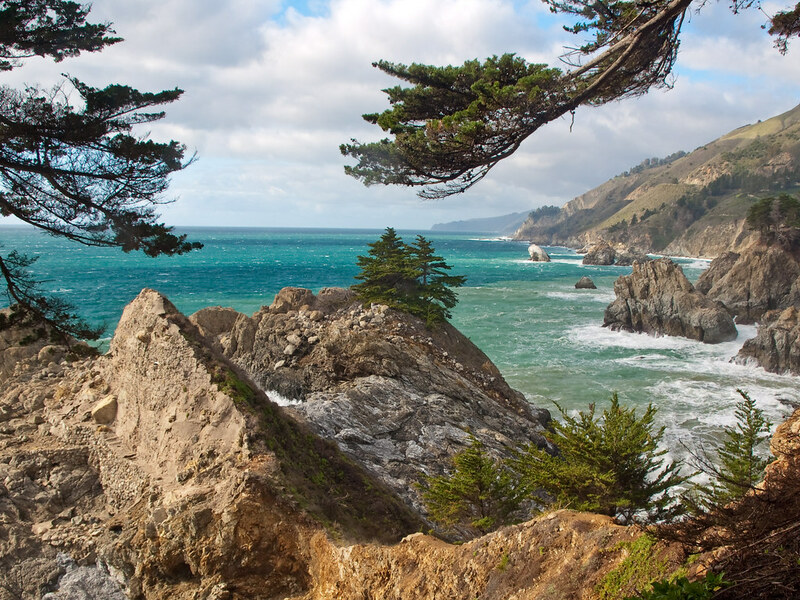 Julia Pfeiffer Burns State Park is 5.878 square miles in area, and you’ll find it in Monterey County, California. 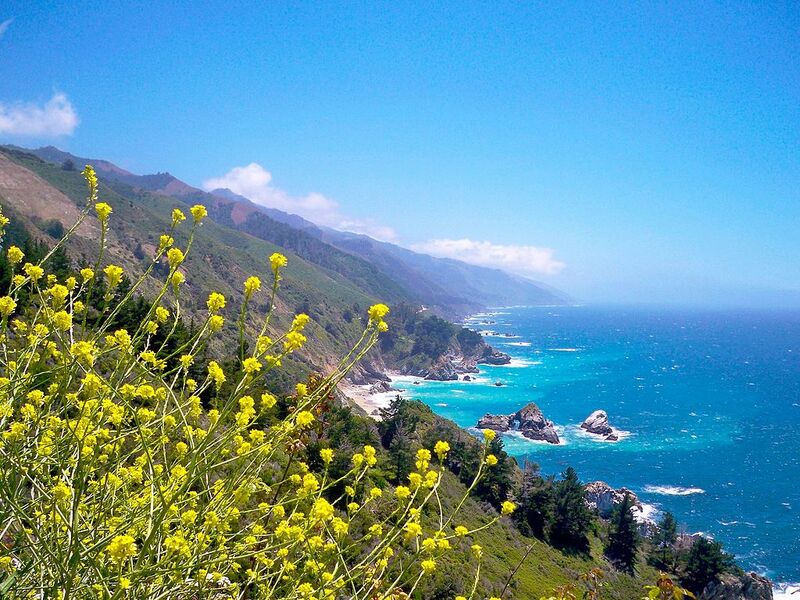 Many people often mistake it for its sister park, Pfeiffer Big Sur State Park, located just 12 miles north. But, Julia Pfeiffer Burns State Park is most definitely a unique haven in the northern California vicinity. 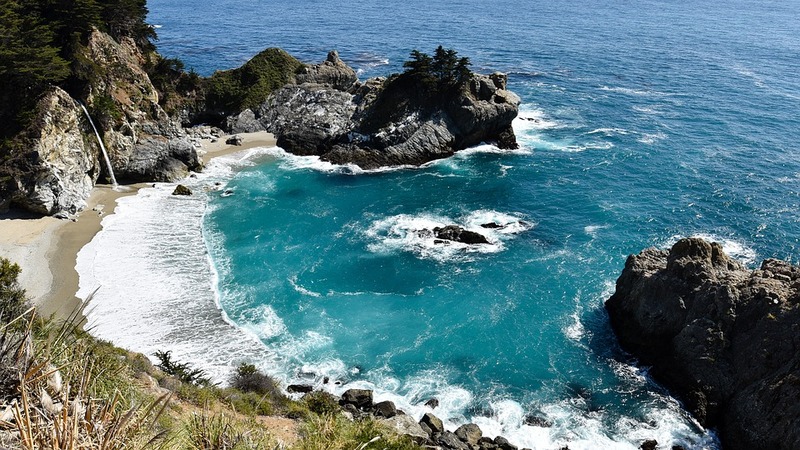 Why should you plan a trip to Julia Pfeiffer Burns State Park? What are some of the things you can do there? We’ve compiled a list of the top sites to make your visit worthwhile. WHO WAS JULIA PFEIFFER BURNS? Back in the pioneering days, Julia Pfeiffer and her parents settled in the area of California now known as Big Sur. They were considered the first permanent settlers of the area. Julia’s family owned and operated a ranch, and she was herself a high-spirited and fiercely independent rancher. She bucked tradition and didn’t marry until she was in her mid-40’s — something unheard of in the pioneer days. Julia loved spending her days on the ranch, and when she wasn’t working hard on the ranch, she was taking local children to explore the redwoods and landscape in the region all around Big Sur. Now that you know a little bit about the history of the park check out some of the great things you can do when you visit. Get your best hiking boots ready! 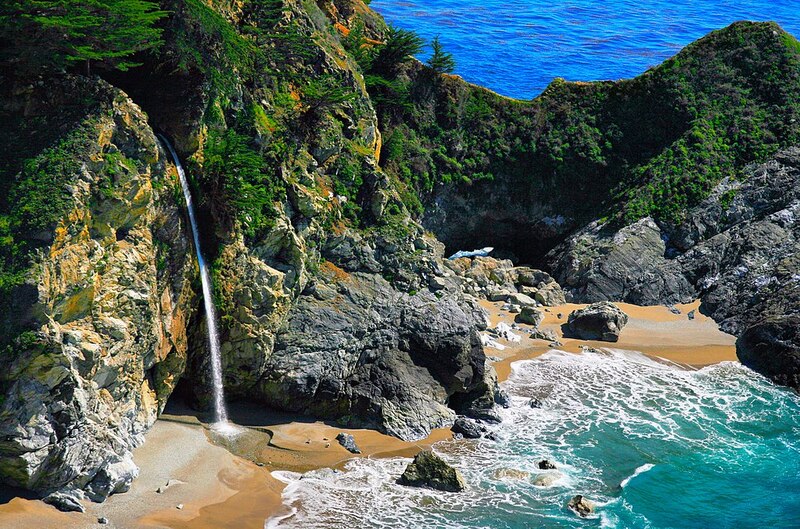 The most popular attraction at Julia Pfeiffer Burns State Park is McWay Falls. The popularity is due, in large part, to the way the 80-foot fall cascades down the granite rock face and into a cove below that eventually flows into the Pacific Ocean. The waterfall is a rare freshwater fall, and it runs year round in some way or another. During spring and early summer, it reaches its peak flow as the snow cap is melting up in the mountains and making its way down. However, even in the fall and winter, the falls flow. 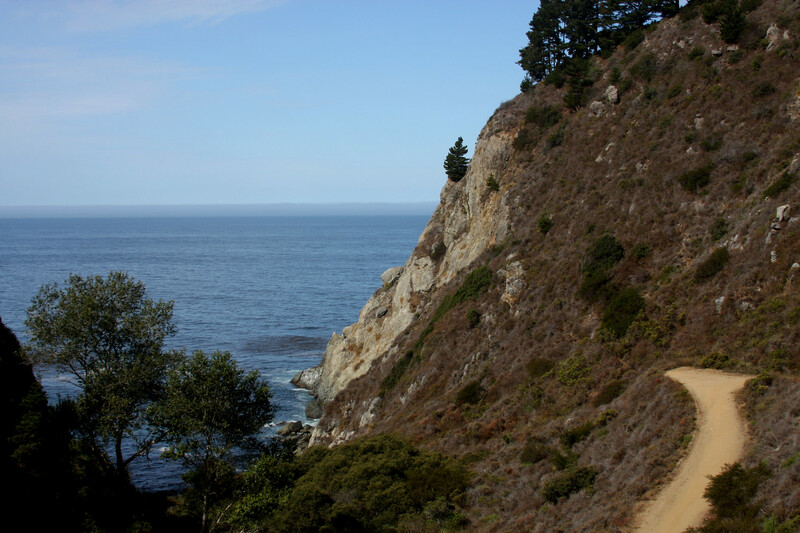 You can only view McWay Falls from the Waterfall Overlook Hiking Trail. This wheelchair-accessible trail takes you on a 0.6-mile round trip. Start at the trailhead by the south parking lot down to a majestic and full view of McWay Falls from an observation deck. Depending on the day, you may catch a glimpse of migrating whales from this vantage point. If you gaze up at the Eucalyptus trees, you may see the elusive California Condor peering back with great curiosity. The panoramic view of the Pacific and coast is considered one of the most beautiful in the entire state. 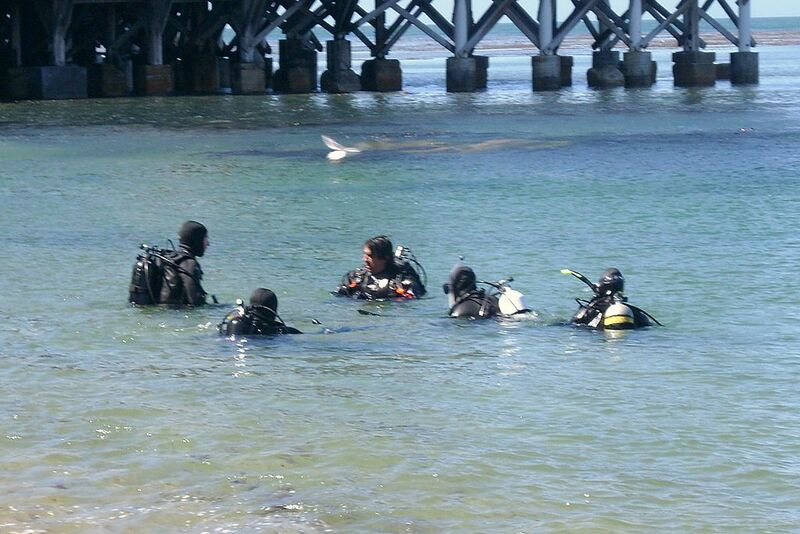 If you have your scuba diving certification and are granted access, you may be able to explore the coastline of the park from beneath the Pacific. Even the most experienced scuba divers are cautioned against diving the coves and caves here without a professional guide. If you do get a chance to book a trip, be sure to be on the lookout for sea otters, sea lions, and other marine life that frequent this pristine and untouched area of the California coast. Partington Cove is one of the most beautiful dives in the area, but again, be wary of attempting this dive without professional guidance. 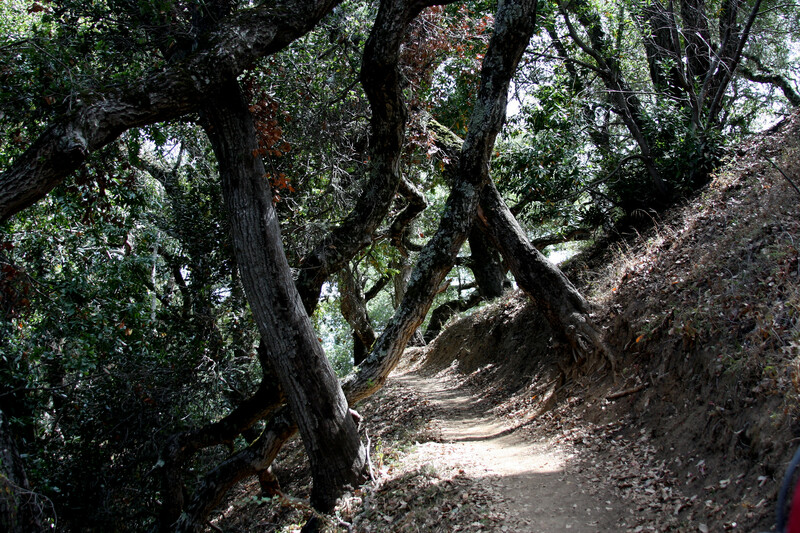 Speaking of Partington Cove, take a hike on Partington Canyon Trail. There’s only one way to get down to Partington Cove, and that’s via the Partington Canyon Trail. The trail is a one-mile roundtrip. The green gate marks the trailhead on U.S. Highway 1. It was originally an old wagon trail which cuts through beautiful foliage while it makes its way down to the Pacific Ocean. The path will fork with the southern route leading through an old tunnel to a beautiful vista that was once the loading and unloading point for great ships bringing fresh supplies to the region. At this overlook, you will find a bench so you can take in the view and surroundings in comfort. However, don’t pass the “benchmark,” as the trail conditions deteriorate rapidly, and the rocks are precarious. If you chose the northern path at the fork, you would indeed come down to a very small and rocky portion of the beach. Swimming and surfing are not permitted as the conditions and dangerous rip tides here are known to cause significant injury. Two environmental campsites are available for advance reservations only. However, be warned that these campsites typically fill up at least six months prior to arrival. 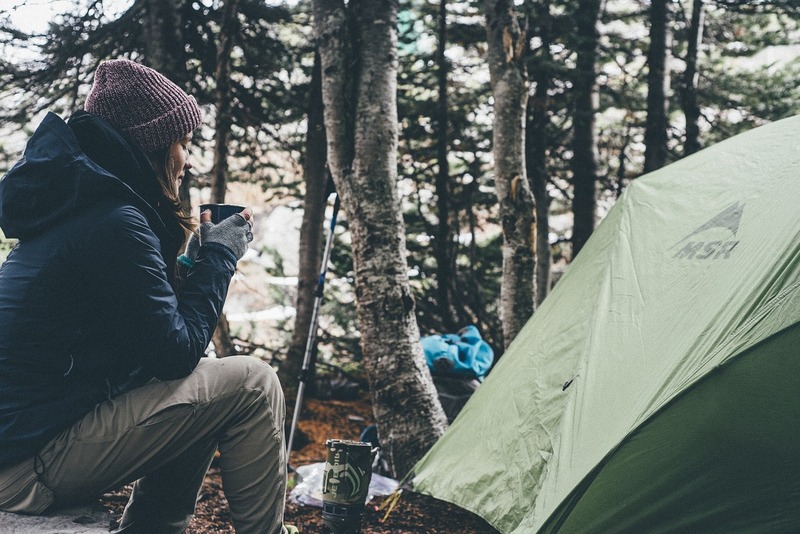 If you would like the experience of camping among the native flora and fauna of the park, make sure to reserve a spot in plenty of time before your plan to arrive. You must check in at the park entrance kiosk before you can set up camp. If no one is at the kiosk, continue to the entrance to Big Sur Park to check in. Anyone discovered camping either in the sites without permission or elsewhere in the park will be fined and immediately ejected. These are the only two places that allow camping in the park. Be sure to catch up on the rules and regulations before arrival to be sure you know about fire use (only in the permitted metal ring), the number of people allowed at the campsite (eight maximum) and other tidbits of information you might want to know. At the time of writing, the campsites remain quite primitive. They had no running water and only pit toilets available. Camping fees are per night. If you are an experienced hiker, you have probably heard of Ewoldsen Trail. It is a 5.8-mile loop that is best undertaken from April through September. Hiking during these months will give you the best chance of seeing the foliage and some of the elusive wildlife that calls this area home. The trail is usually well-trafficked and has a total elevation gain of 1,956 feet. It can be very steep in some parts, So, it’s not the best choice for novice hikers or out-of-shape individuals. The trail takes you along a river, through the beautiful redwoods, and past canyon and ocean views that are stunning, even for the well-traveled hikers. Please note that at the time of writing, Ewoldsen Trail, and many of the other trails, were closed due to poor trail conditions brought on by wildfires and erosion. Ewoldsen and others are actively being cleaned up and restored, so be sure to check on the status via the park’s website. You can also call the ranger station for current conditions. This is an excellent time to remind you that California has been one of the hotbeds for wildfires and mudslides. It is always a good idea to check the conditions in any state or national park before visiting. You don’t want to set aside a time to drive for a day or weekend only to arrive at a full park closure. ​While you are busy planning your trip to Julia Pfeiffer Burns State Park, please keep the following rules and regulations in mind. No open fires, except in one of two designated camping spots (as discussed above). No dogs permitted on the trails except for service animals. Even service animals must remain on a leash with a maximum distance of 6 feet for the duration of the trip. Dogs are not permitted in the camping area. Unless explicitly stated, all beach use is prohibited. This goes too for the Partington Trail that leads to the cove. The conditions at the beach here are unsafe and unappealing, as the rocks and ruts are easy to misjudge which can lead to serious injury. No scuba diving without proper permission. And even then, it should only be done with an experienced guide. The park is open from a half hour before sunrise to a half hour after sunset. No visit to Julia Pfeiffer Burns State Park would be complete without really sitting back and thinking about the historical value of the property. This was the area that made Big Sur. In that day, with the Gold Rush and the onslaught of settlers, the population of the area was more significant than even today. It is a critical piece of California history. And perhaps more importantly, American history. It is a testament to the human spirit and those brave men and women who left big cities to find their own slice of land in an unknown and unsettled area of the country. The Homestead Act made it possible for many to own their very first piece of land. Today, part of that land is preserved because of the passionate and independent woman the park is named after. She embodied the real spirit of western settlement and pioneer living. Julia Pfeiffer Burns State Park is a gem among California’s Gold Coast.